It was a big day for the European Poker Tour (EPT) on Saturday. As the Main Event was playing down to a winner, so was the record-setting EPT Vienna €10,000 High Roller, which emerged as the largest high roller of Season 10. Day 1 of the event originally attracted 136 players that accounted for 35 reentries. On Day 2, ten players took advantage of late registration, which brought the total field up to 181 entries and moved it ahead of the EPT10 Barcelona High Roller by a single entry. The massive turnout generated a prize pool of €1,773,800. The final nine players of a 181-entry field returned to action, and after six levels of play it was France’s Fabrice Soulier who emerged victorious to capture the €392,900 first-place prize. Action resumed in Level 21 (10,000/20,000/3,000) and in the first hand of the day chip leader Dmitry Yurasov opened for 40,000. 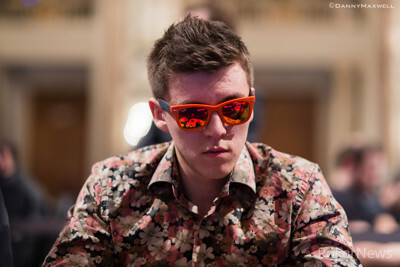 It folded to Team PokerStars Pro Jonathan Duhamel in the small blind and he raised to 105,000. The big blind folded and it was back on Yurasov, who pushed out two stacks of blue T5,000 chips for a further raise to 195,000. Duhamel instantly moved all in and Yurasov called. 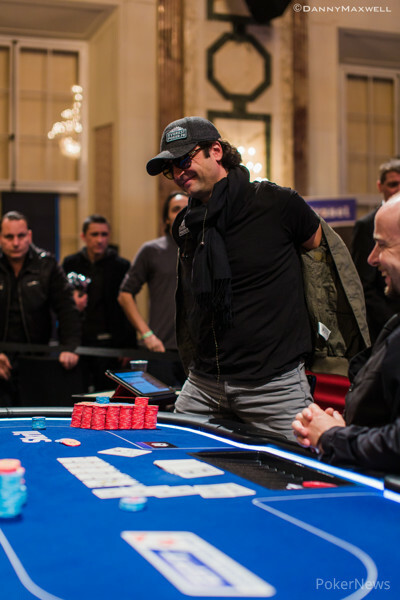 The board ran out and Duhamel fell in ninth place for €39,800, which brought about the final table of eight. Not long after, action folded to a short-stacked Fady Kamar in the hijack and he moved all in for roughly 170,000. Yurasov, who was next to act in the cutoff, put in a call, and then Vitaly Lunkin moved all in over the top for right around 820,000 from the button. The blinds both folded and Yurasov made the call. The flop delivered Yurasov a king, and he was on the verge of eliminating two opponents and becoming a massive chip leader. The turn gave both Famar and Lunkin straight draws, but as it was they held some of the other's outs. As such, both were on their feet preparing to make their exit when the slammed down on the river. "Straight," an elated Lunkin said. Indeed, the jack on the river gave him a winning hand. Yurasov seemed shell shocked, while Kamar took his leave from the tournament in eighth place for €48,050. It took awhile for the next elimination to occur, but eventually EPT8 London champ Benny Spindler, who began the day second in chips, fell in seventh place for €66,350. Spindler was never able to gain any traction at the final table and fell when he ran ace-queen into the ace-king of Lunkin. A few hands later, the short-stacked Rasmus Agerskov followed him out the door in sixth place. Yurasov suffered a similar fate as Spindler. He began the day as chip leader, but ended up losing a big pot to Soulier. Shortly thereafter, he lost a race to bust to Anatoly Filatov to bust in fifth. Likewise, after Lunkin assumed the chip lead, he had a fall from grace and promptly busted in fourth place for €148,800. After Ukraine’s Oleh Okhotskyi fell in third place, Filatov and Soulier began heads-up play with the latter holding a 2-1 chip lead. Filatov managed to fight his way into the lead, but the Frenchman pushed back and slowly whittled away at his Russian opponent. 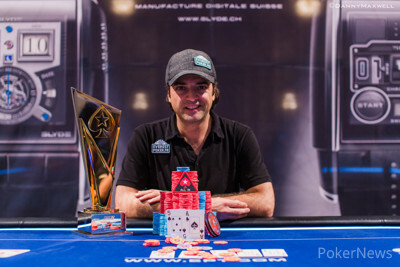 Eventually Soulier was able to seal the deal, earning him the EPT10 Vienna High Roller title. That does it for our coverage from this event, but the EPT10 Vienna Main Event has yet to crown a champion. You can follow our live updates from that event by clicking here. "I'd better put my sunglasses on," Anatoly Filatov joked before his final hand. Once he donned his red shades, he raised the button to 125,000. Fabrice Soulier, who had pulled out to a commanding lead, announced that he was all in, which prompted Filatov to call off. Filatov was behind and in need of some help, and while the flop didn't hit him directly, it did give him a gutshot straight draw to a jack. The turn changed nothing, and it was down to the river for the Russian. The dealer burned one last time and put out the . Filatov missed and will have to settle for runner-up and a €265,200 consolation prize. Anatoly Filatov raised from the button to 125,000 and Soulier made the call. The flop was which saw Soulier check, Filatov bet 125,000 and Soulier come out with a check raise to 290,000. Filatov made the call. The turn card was the and now Soulier led with a bet of 360,000. Filatov smooth called. The river was the and Soulier piled on the pressure with another bet of 680,000. Filatov pointed to the flop and asked him, “You’re good? I just think it was nothing.” Nevertheless Filatov folded. The next hand Soulier raised from the button and Filatov made the call. They saw a flop of . Filatov checked and when Soulier bet 125,000 Filatov raised him to 300,000. Soulier made the call. The fell on the turn and now Filatov led for 400,000 which Soulier called. The river card was the and Filatov counted out a big bet. He then slid the chips back into his stack and checked showing down . Soulier tabled and his pair was good. Fabrice Soulier is gaining momentum. He recently opened for 125,000 from the button and Anatoly Filatov defended from the big blind. Both players checked the flop, and then Filatov checked for a second time on the turn. Soulier took the opportunity to bet 150,000, but he was met by a check-raise to 300,000. Soulier called the min-raise and watched his opponent fire out 375,000 after the completed the board on the river. Soulier tanked for about a minute before calling with the , and he was glad he did as Filatov was bluffing with the . Fabrice Soulier opened for 125,000 from the button and Anatoly Filatov called from the big blind. Both players checked the flop, and the Soulier called a bet of 150,000 on the turn. When the put three tens on the board, Filatov fired out 425,000 and Soulier thought a few moments before sliding out three towers of chips for a raise to 1.1 million. Filatov wasted little time in folding. Back to back hands show these two players mean business. Anatoly Filatov made it 125,000 on the button and Fabrice Soulier raised him 275,000. Filatov fought back with a four-bet to 600,000. Soulier made the call. On the next hand Soulier bet 115,000 from the button and Filatov made the call. They saw a flop of . Filatov check called a bet of 115,000 from Soulier and they saw a turn card . Filatov now led out for 195,000 but a raise to 425,000 from Soulier quickly saw Filatov surrender his cards. Fabrice Soulier opened for 110,000 from the button and Anatoly Filatov defended from the big. Filatov then check-called a bet of 110,000 on the flop, which was followed by two checks on the turn. When the completed the board on the river, Filatov bet 100,000 and got paid off by Fabrice. Filatov tabled the , and it was good as Soulier sent his cards to the muck. Both players had been swapping small pots through heads up hands two to ten. On hand 11 Fabrice Soulier raised from the button to 120,000 and Anatoly Filatov made the call. The flop was . Filatov checked and called a bet of 120,000 from Soulier. The turn card now saw Filatov take the betting lead with a bet of 200,000. Soulier made the call and the river fell the . Filatov again bet, this time 750,000. Soulier asked himself “Why so big?” He puzzled it over for a while and made the call. Filatov showed him for a full house and Soulier mucked his cards. Who Will Emerge as the EPT Vienna High Roller Champ? "I Misplayed That Very Badly"